Green A9 Envelopes, 8 3/4" x 5 3/4"
30pt 5" x 7" Cardboard Chipboard by Desktop Publishing Supplies, Inc. is a versatile product use by countless customers. 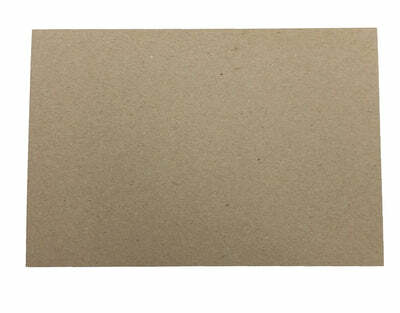 This chipboard can be used in product packaging to keep your product sturdy. It can also be used when shipping to protect valuable goods. Many customers also use it with photos or scrapbooks to make covers or folders.